The ISL spirit is back in full form and the teams have started the battling for the top positions. With every season passing by, the overall standard has risen. This rise has been followed in every aspect including management and fans. The biggest advance ever seen in ISL is kits. Every season has given better kits to the fans. Each management has taken great care in having the best threads among the 10. Here, we take a look at the jerseys of all the teams this season and rank them. The Jamshedpur club has spent more time in practice, than on looks. They haven’t brought about any notable changes in the kits in the new season. 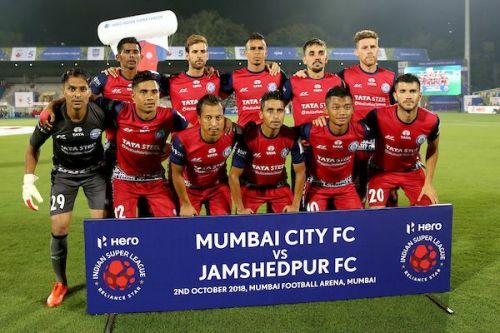 Jamshedpur FC brought in some big names like Tim Cahill, but decided to continue with their red jersey with blue sleeves. The kit cannot be rated as the best in the league. Most teams have taken great effort in being the best in appearance. But the work by ‘Men of Steel’ has been poor in this department compared to their competitors. Although the colours are bright, it could have been improved in their second season. 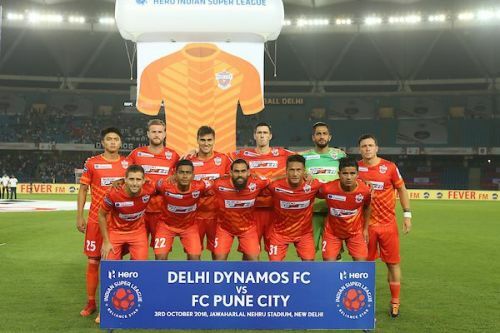 FC Pune City is another team that has given priority to performance, above appearance. The last season semi-finalists have brought about some changes to the kit, opting for a solid orange jersey this time. The Stallions were sporting the usual orange and purple colours till season 4. The purple has been taken out this time, adding more orange colour. The back of the jersey is completely a lighter shade of orange. Many review the previous jersey a better one. A mixture of two colours would have been better than the solid orange.